It’s always hard to find foods that are both keto friendly and appealing to friends who don’t eat low carb. 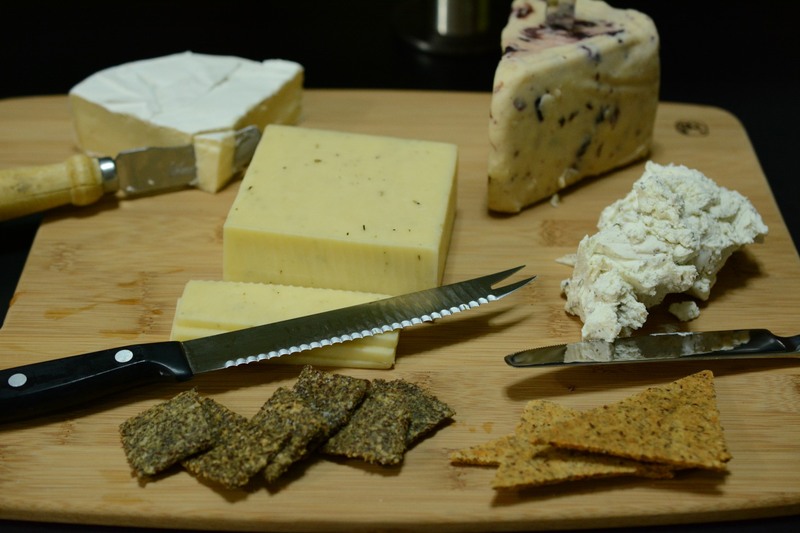 For my recent holiday party, I wanted to make a cheese dip and some crackers as a starting course as people arrived. 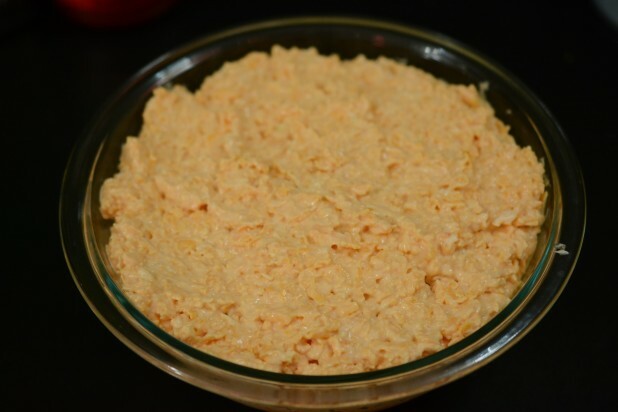 I dug deep into my e-mail archives and found a recipe of my wife’s family called Lizzie’s cheese dip. No one in my wife’s family is named Lizzie so I have absolutely no idea where it came from. Regardless, the dip is amazing and totally keto friendly! 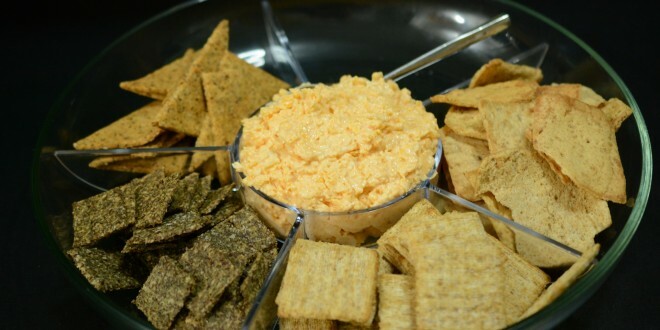 Along with the dip, I also wanted to make a sampling of keto crackers and chips for my guests to try. The first cracker I tried out was an old favorite of mine, I Breathe … I’m Hungry’s Rosemary and Flax Crackers and the second one was just something I found on the web which sounded cool, Low Carb Doritos. 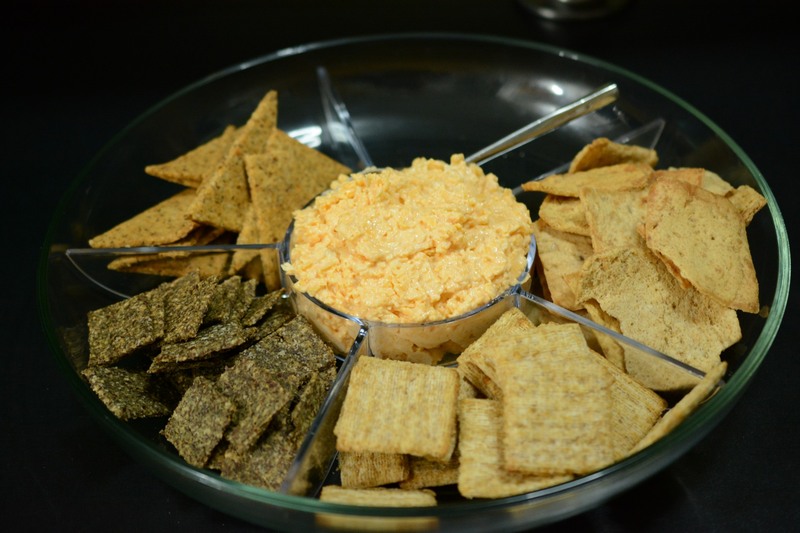 Here’s the cheese dip with the crackers! It turned out really well and everyone raved about the dip. From left to right we have the low carb doritos, follows by the flax crackers. Please ignore the triscuits and pita chips (there were non low carbers present, I promise!) 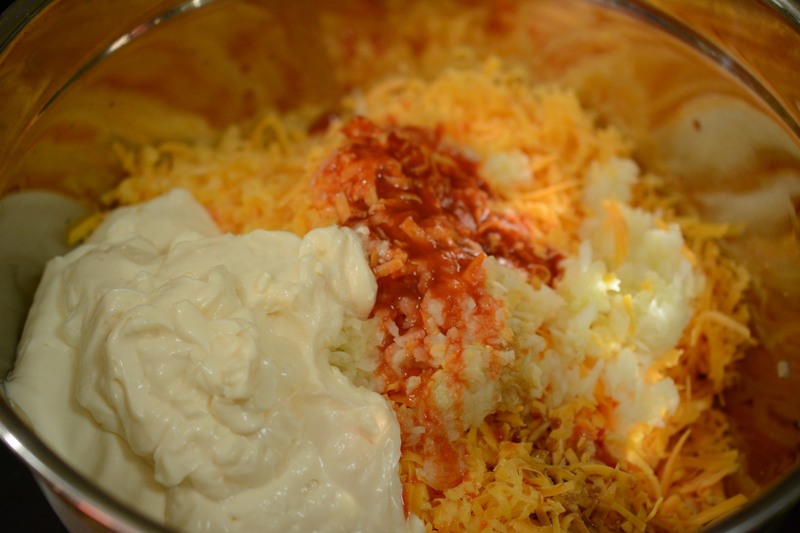 The cheese dip starts out pretty simply. You need to get some extra sharp cheddar and shred it in the food processor. The extra sharp part is really important. If you don’t have a food processor, you can buy it pre shredded as well. 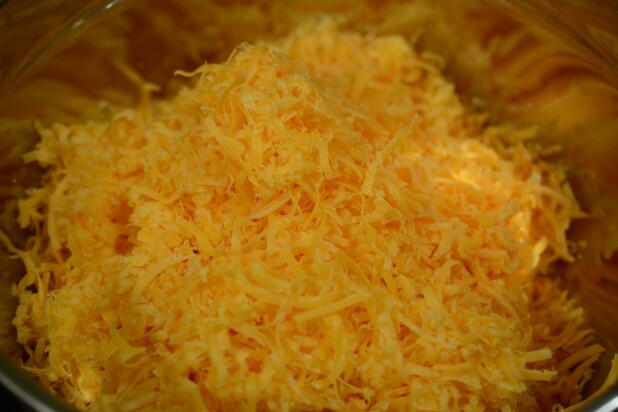 Here’s the cheese in my large mixing bowl. 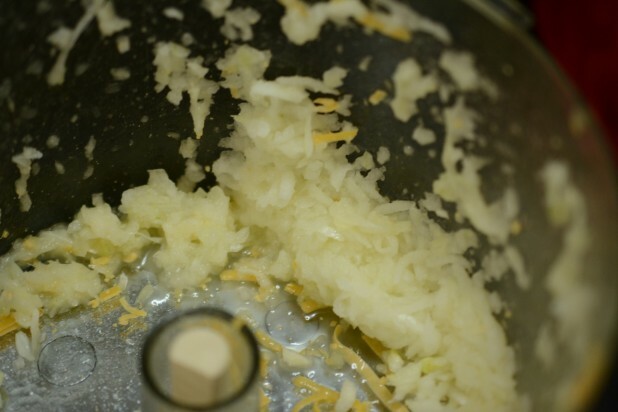 Next, throw an onion into the food processor and grate it the same way as the cheese. 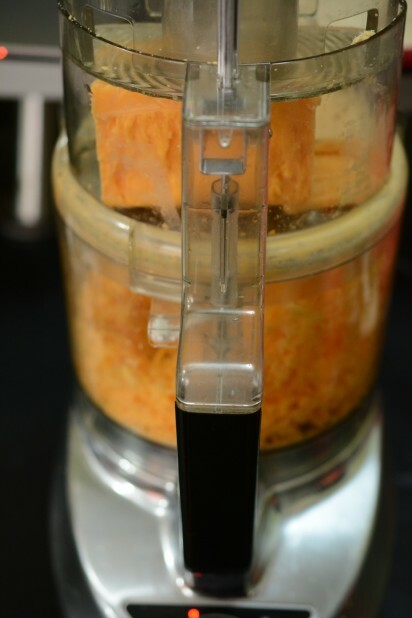 Again, if you don’t have a food processor, you can grate it on a hand grater, its just a lot more effort. 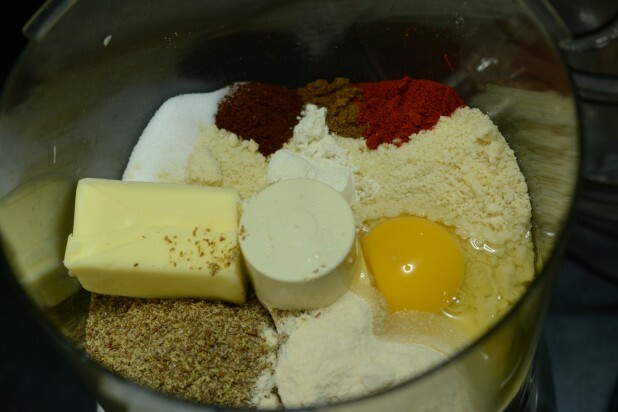 Throw the rest of the ingredients into the bowl and mix! Here’s the finished dip! I find that it tastes even better if its allowed to sit overnight and marinate in the refrigerator. 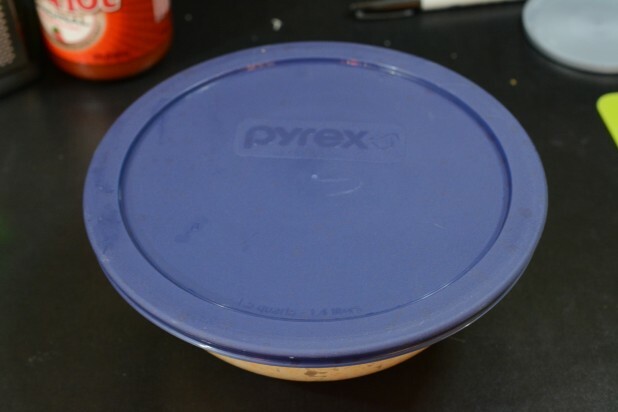 If I’m making something like this where I know I won’t finish it all in one go, I try and use my pyrex that has matching lids. That way I don’t have to dirty more than one bowl! Now onto the crackers. Add all of the ingredients into a mixing bowl and stir it together. Here’s the flax cracker batter. 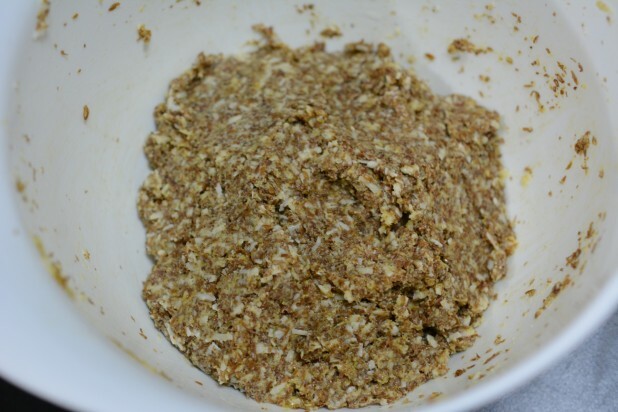 The comments section of the recipe had all sorts of suggestions on how to spread out the batter. I tried using parchment paper and rolling the batter between the layers but it was an epic fail. I ended up just using a regular old rolling pin with pam sprayed on it. Then I just cut the chips. I have no idea why I tried cutting the chips diagonal like this, next time I would just go vertical and horizontal as I ended up just making more work for myself. 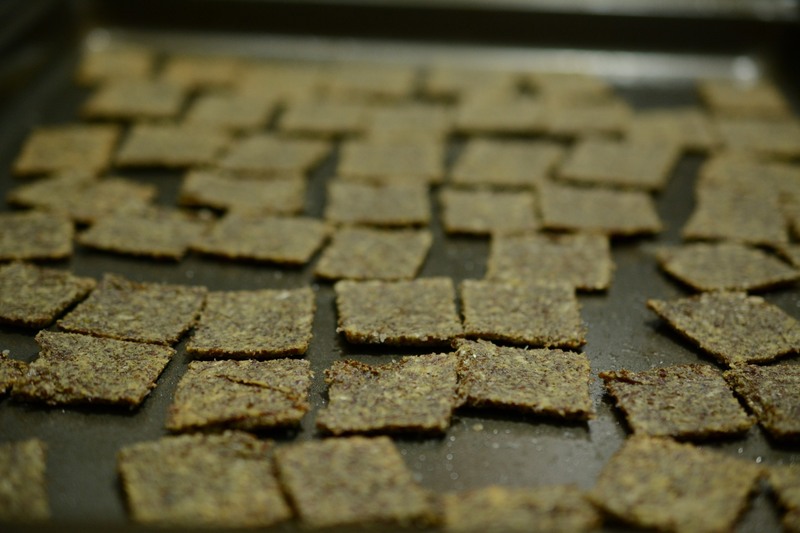 Here’s a picture of the finished crackers, they turned out really well! 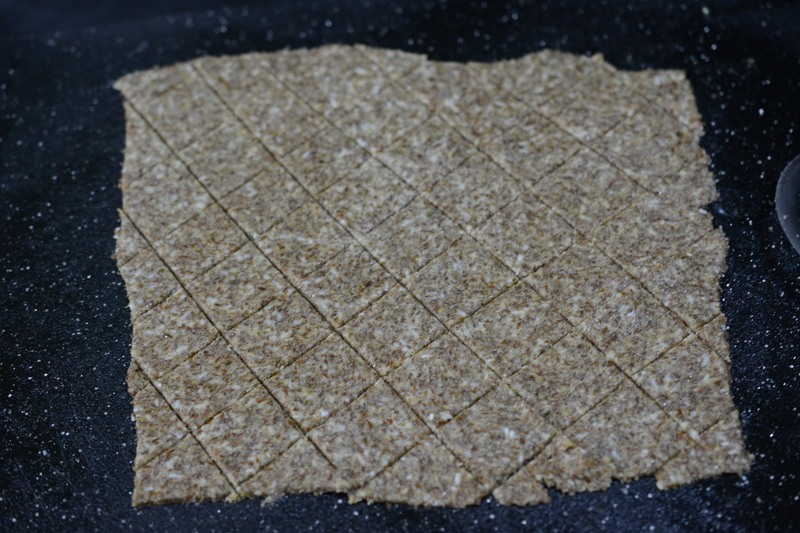 These are by far my favorite cracker substitute and I’ve made them several times. Next, I wanted to try something new. The concept of a low carb dorito was intruiging so I decided to give it a try. This one does involve a lot more ingredients that you might not have so it could be more expensive. 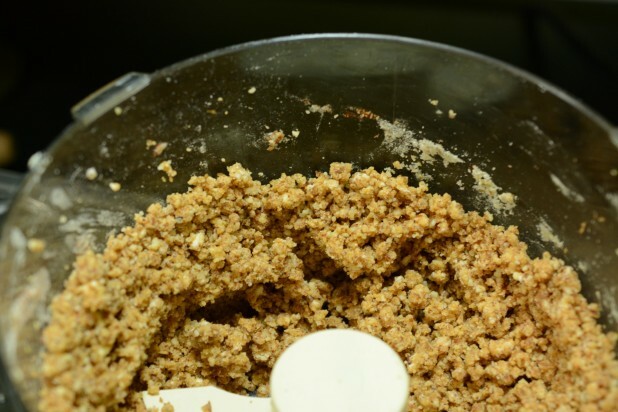 The recipe is pretty simple, just put all of the ingredients in a food processor and pulse it until it forms the correct consistency. Here’s a picture of the batter. 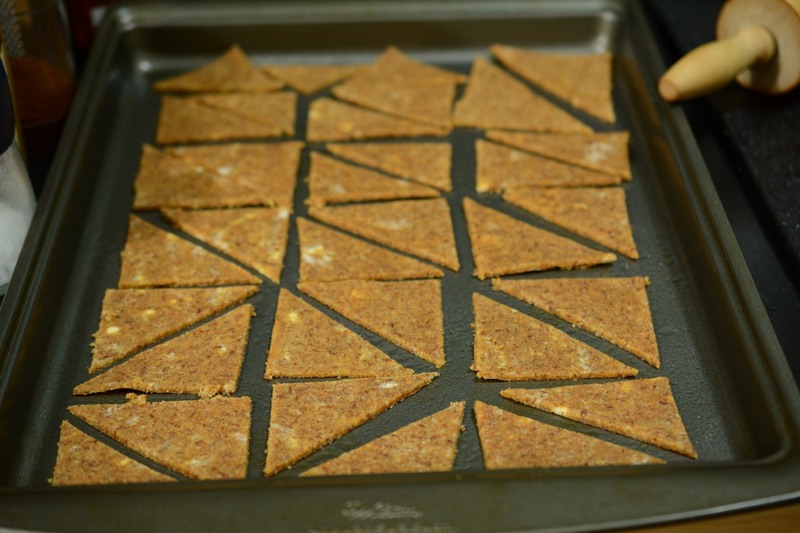 For this batter, I spread it out the same way as the flax crackers but I made an attempt to shape them like doritos. Basically I just made rectangles using a pizza cutter and then cut the rectangles at a diagonal. Overall I liked the taste of the doritos but they weren’t as sturdy as a dipping chip as the flax crackers. I also set out some cheeses for people to try out the crackers! That dip looks great. I bet it would also make a wonderful stuffing for chicken thighs. I may have missed the directions for creating the chips themselves. 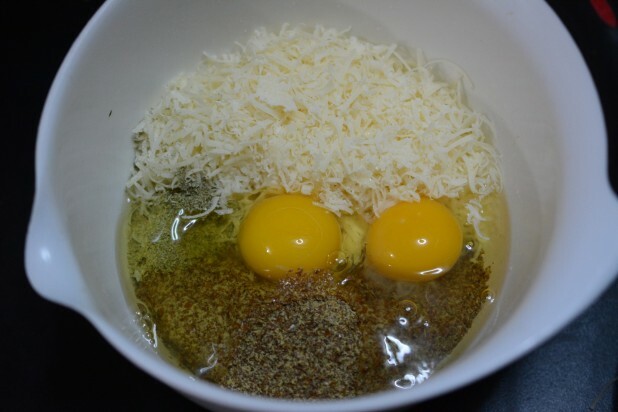 Can you please show me the steps and ingredients? Thanks! Where is the recipe for the crackers???? They look so delish!!!!! Thank You.